Rebecca has been an avid foodie from a young age, totally inspired by her favorite chef- her Dad! After meeting her other half, she found DIY dating was the way to go and founded Date Night Cookbook. 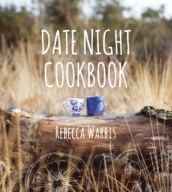 Rebecca is a graduate of Commercial Photography and wrote, photographed and art directed the Date Night Cookbook.